A twist on your go-to Italian dish. This easy-to-make recipe will prove to you that you can give up 15 minutes to whip up a delicious meal. Bonus: you’ll have the energy to power through your studying with a happy stomach. 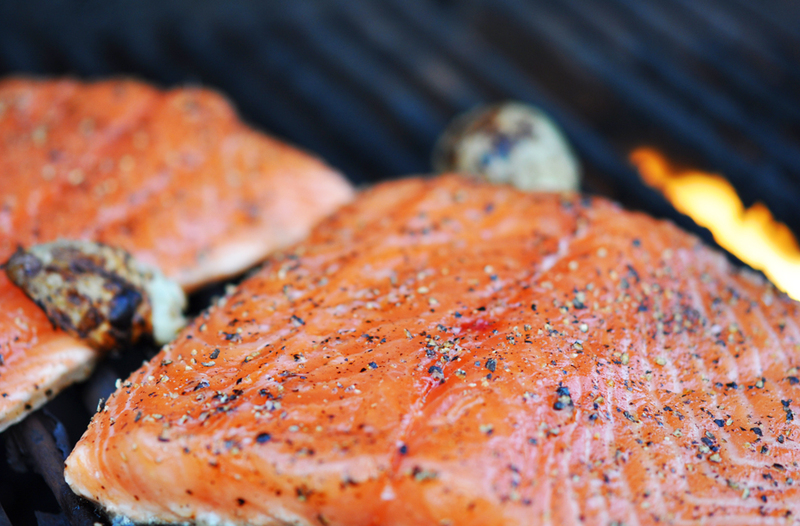 Extra bonus: salmon, one of the most nutritious types of fish, is packed with iron, zinc, niacin, vitamin B6 and vitamin B12 and other good nutrients you need for a healthy mind and heart. If you have some extra time on your hands, you can also make the pesto sauce yourself! 1. 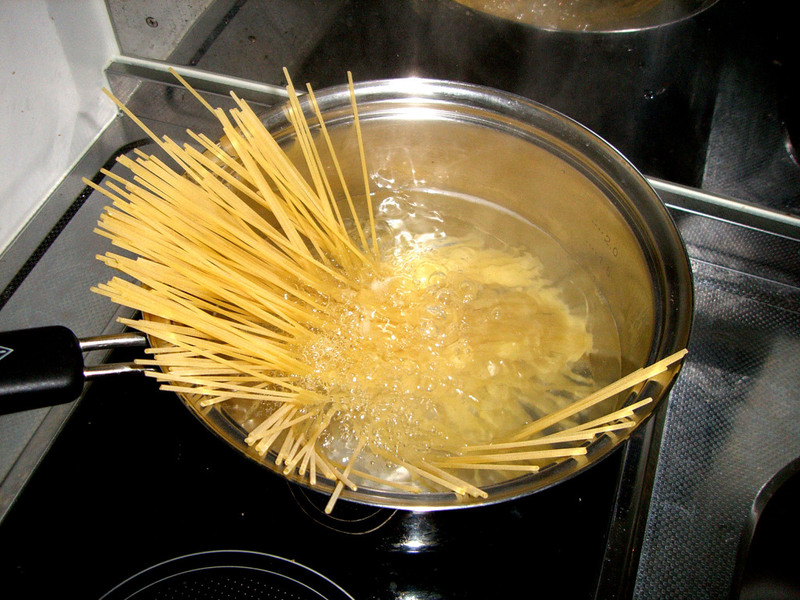 Place the spaghetti in a pot of water and boil until cooked. 2. 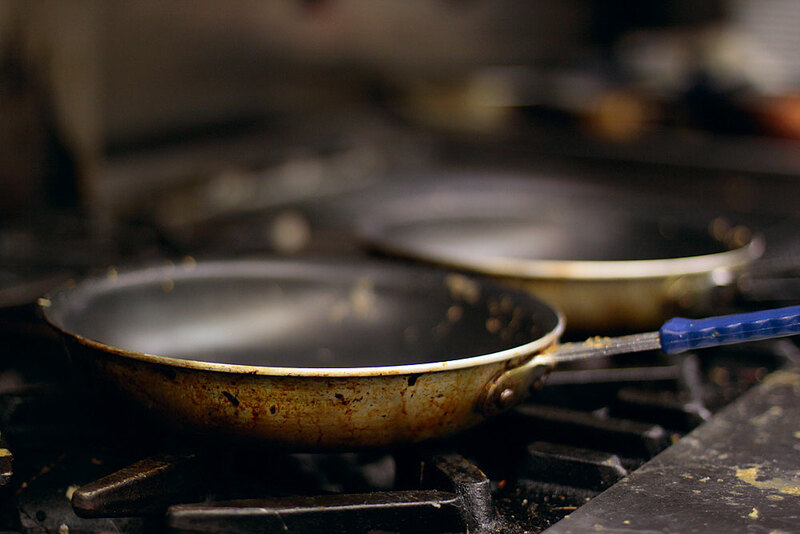 While the spaghetti is boiling, in a non-stick frying pan, adjust to medium heat and add your choice of corn oil or olive oil. Amount of oil is up to your own discretion. 3. 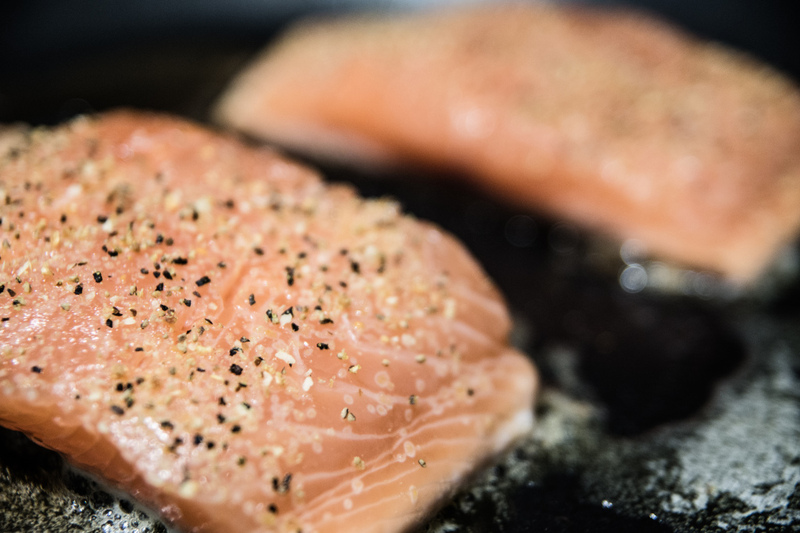 Place your chosen portion of salmon fillet into the pan and sprinkle garlic salt over fillet. 4. Sizzle salmon until cooked. Make sure that you flip the fillet several times with a spatula. 5. Back to the spaghetti! 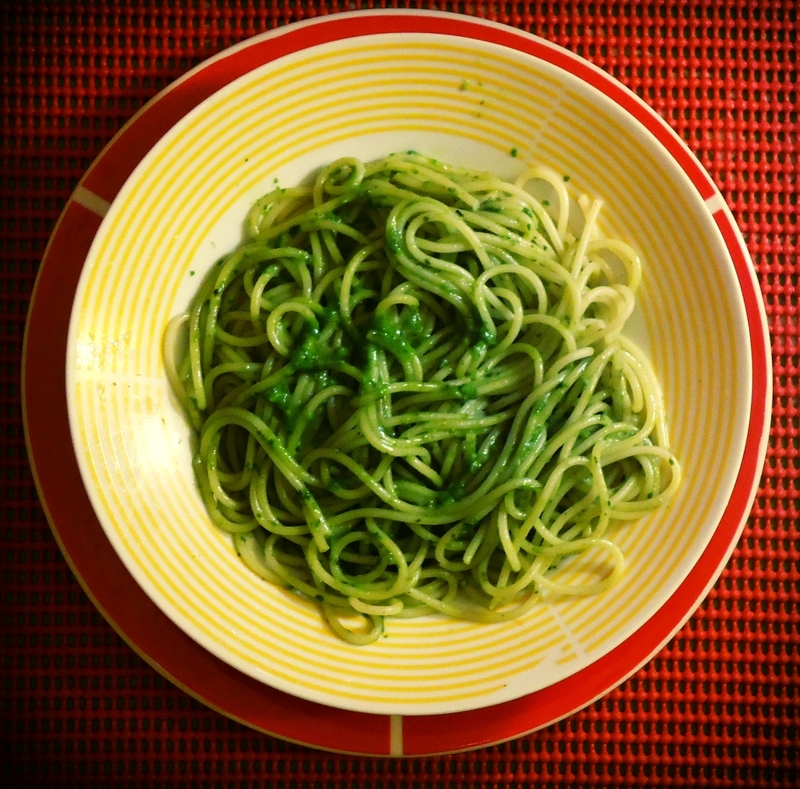 Drain water from spaghetti and mix with basil pesto. 6. 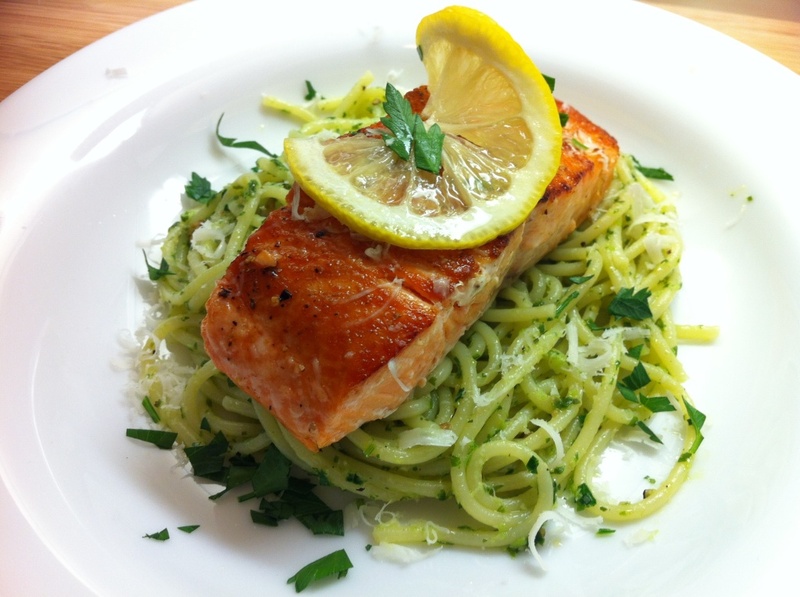 Add the delectable salmon fillet to your pesto spaghetti and enjoy! Add extra spices and condiments if necessary. Whether you have a mile-high pile of homework sitting at your desk or if you want to add a unique twist to the typical spaghetti recipe, this spaghetti with salmon and basil pesto is the answer to your problems. Saving money, eating happily and saving time are all things we college kids desperately look for.